Florida Fiduciary advisors purchase or recommend a security for your portfolio or suggest a third party advisor, only when it is in the best interest of you, our client. Florida Fiduciary has no sales quota from branch managers or in-house products that are forced upon us. As a result, your advisor only offers sound, straightforward, unbiased financial advice. 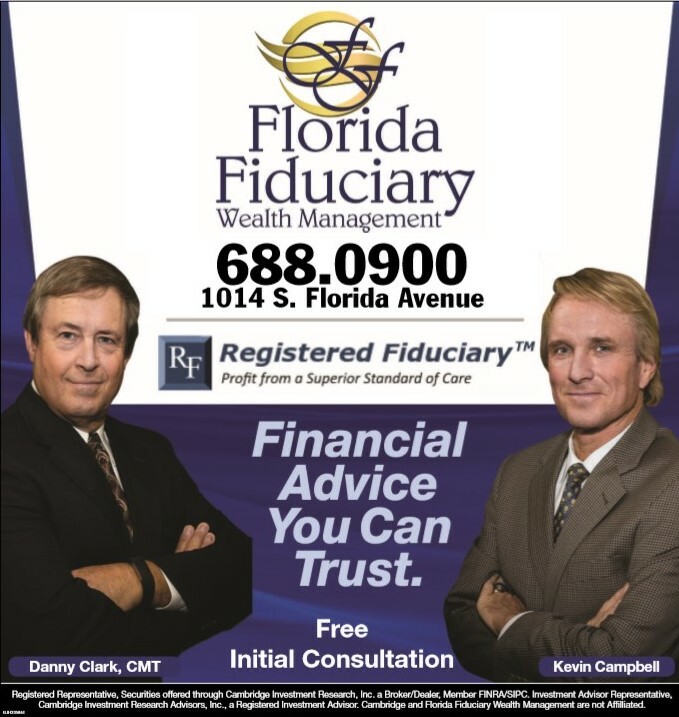 Florida Fiduciary is an independent, financial solutions provider. Our services cover all areas of financial management, from investment and retirement planning to risk management and estate conservation. We specialize in helping our clients develop a comprehensive, cohesive financial strategy that fits their unique needs and enables them both short- and long-term objectives. Florida Fiduciary believes passionately in accountability. This is why we do our own research from non-biased, outside, third-party resources. Private money managers are chosen based on their track records, the risk they assume versus the overal market risks, fees and diversification. Click the link below to sign up for our monthly E-Newsletter.